The Crab Pulsar was born with supernova explosion which was widely observed on Earth in the year 1054. The Crab Nebula is located 6,500-light-years away from us in the direction of Constellation Taurus. Here, in this article, we will present this amazing object, once thought to be the most energetic light in universe. When a massive star, with a mass several times that of the Sun, reach the end of its live, it compresses and explodes as supernovae, leaving behind a good-looking corpse, a neutron star. 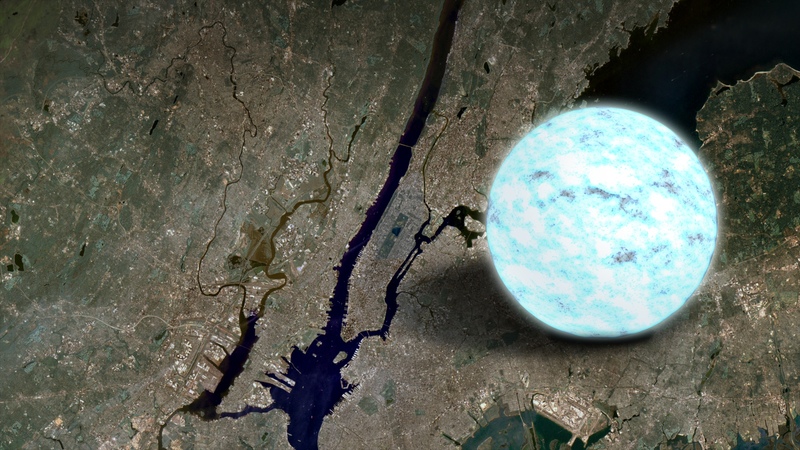 Neutron stars are the smallest and densest stars known to exist in the Universe. They are only a few miles across, with a large fraction of the star’s original mass, composed almost entirely of neutrons — subatomic particles with no net electrical charge. Neutron stars are very hot and spins spectacularly fast on its axis emitting beams of electromagnetic radiation that are detected as pulsars. After a massive explosion powerful enough to turn a huge star into cloud of dust, the crab nebula took shape- the eye of the storm, a speeding pulsating star, a pulsar. The gravity squeezed the giant star’s core into an object with 10km diameter, rotating 30 times per second. Scientists estimate the crab pulsar’s mass to that of 1.5 solar masses. It’s so dense that one pint of this will weigh thousands maybe millions of tons. Two beams of light, energy and radiation, spinning 30 time per second power the huge cloud of dust, the crab nebula. There’s so much radiations there, more even on the Sun, that’s could easily be considered one of the deadliest things in the universe. In Jan 2016 MAGIC, a ground-based gamma-ray instrument located on the Canary island of La Palma, Spain, discovered unexpected very energetic photons, the most energetic pulsed emission radiation ever detected to date coming from the center of the supernova of 1054 A.D., the Crab pulsar.